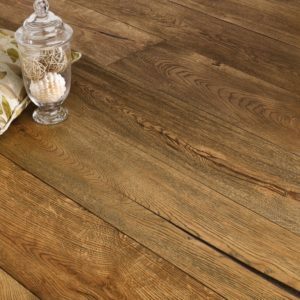 With an unfinished surface that lets the natural raw beauty of wood shine through, this Ted Todd Southill engineered wood flooring is a perfect way to bring the beauty of nature into your home. 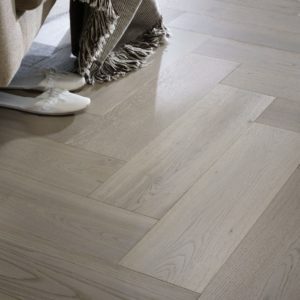 The micro bevel profile and the various plank sizes add a rustic tone, while the delicate grain pattern embellished with unique knots and swirls will provide an alluring flooring that will not go unnoticed. 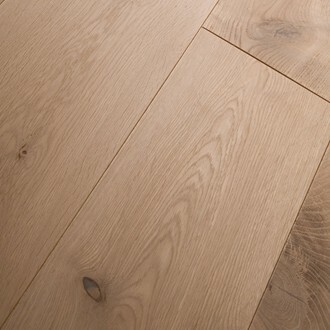 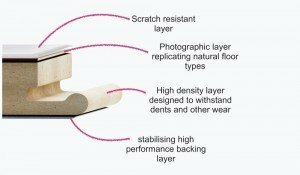 With a 6 mm veneer thickness, a wide range of plank sizes, and a wonderfully simple to use click system, this high quality flooring from Ted Todd’s Classic collection is easy to fit and to maintain.